This post contains affiliate links for your convenience and to help keep this blog in operation. I may make a small commission from any item ordered but your price remains the same. For full disclosure, go here. Are you as ready for spring as I am? It seems like winter has lasted forever here and we can't wait for warmer weather and spring flowers. 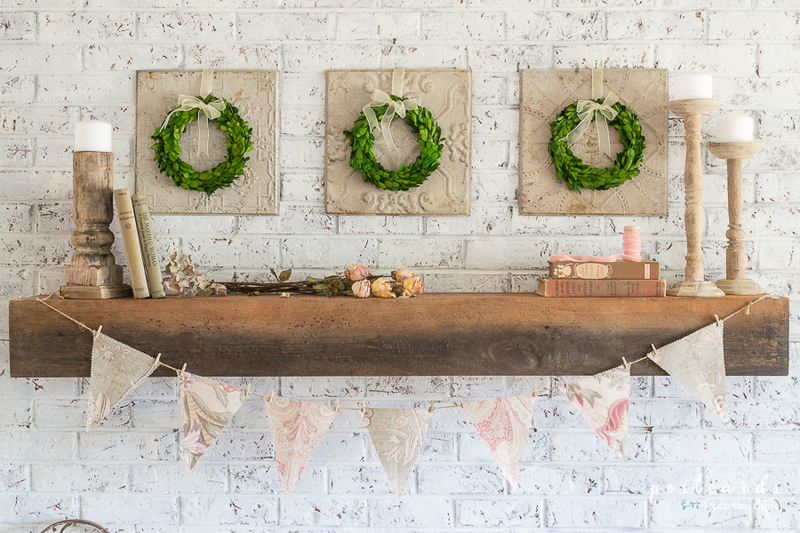 Even though the calendar still says February, our mantel is dressed for spring. 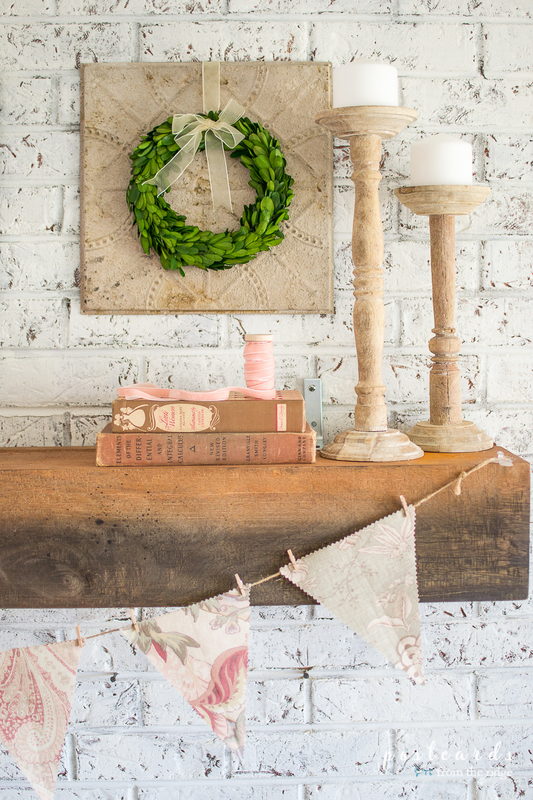 I added some pastel colors and vintage inspired items for a cozy cottage look. The metal tiles needed a little more color, so I added some little boxwood wreaths to them. I attached the ribbon to the back of the tiles with tape, but that can be our little secret. 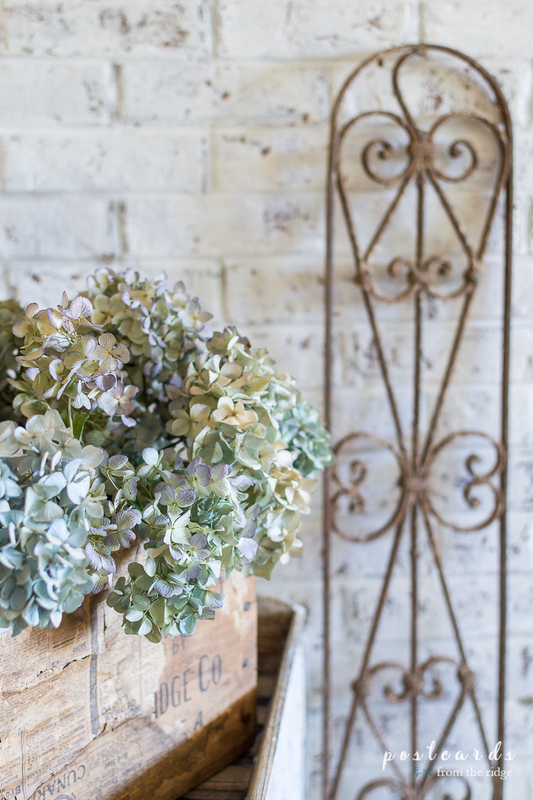 Some dried hydrangeas in an old wooden crate add a little blue and green to the vintage vibe. Don't you love hydrangeas? See the simple way I dry mine HERE. I made the simple banner using scraps of fabric from my stash attached to twine with mini clothes pins. I've had scraps of these fabrics for years and never could quite figure out what to do with them. I'm so glad I found a good use for them. I think I'll also be making some lavender sachets with my scraps soon, so watch for those. 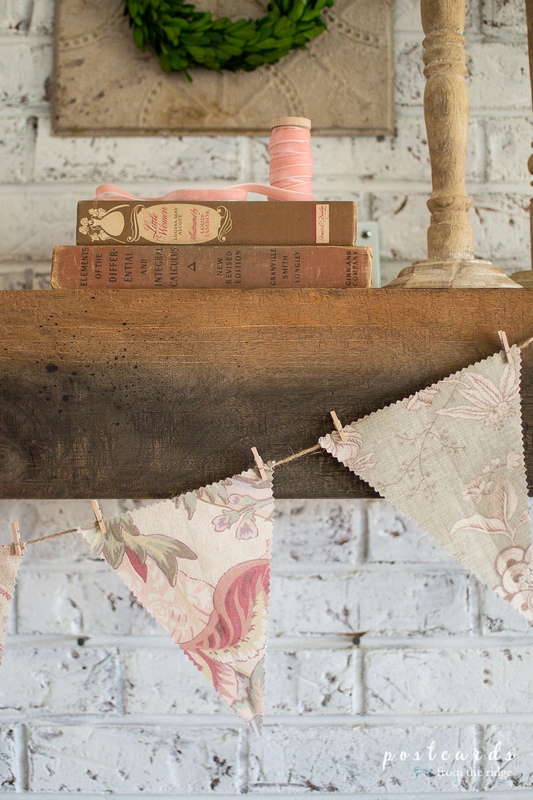 A few old books, of course, and some velvet ribbon add a bit of blush pink to the mix. Nothing fancy here, just some odds and ends that give it a spring vibe. 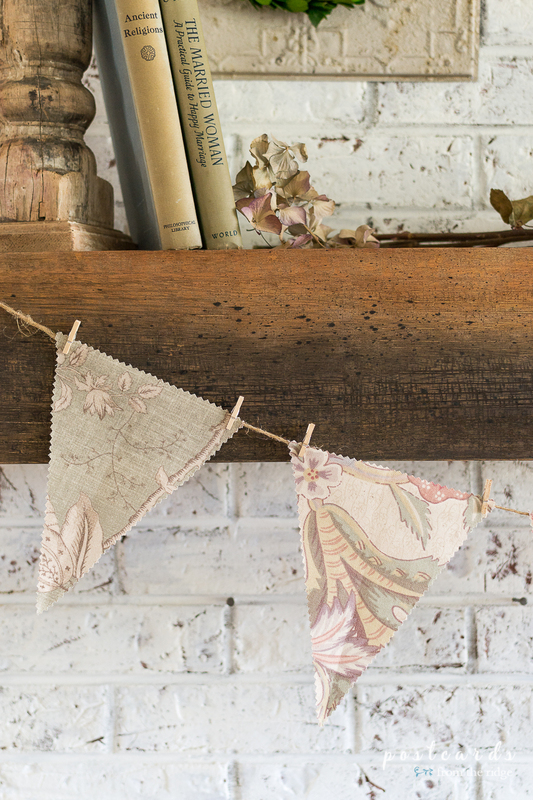 Have you started decorating for spring or planning for it? I can't wait to add some flowering branches to the porch soon. 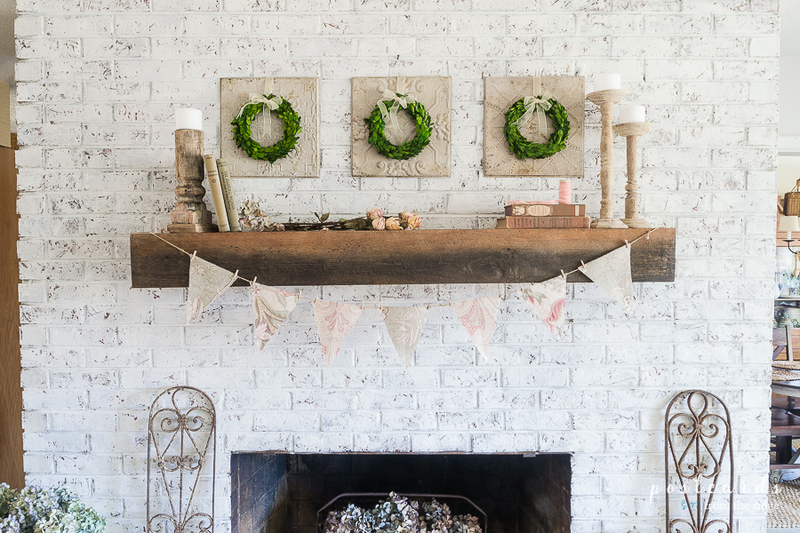 Your mantel looks so pretty. I love those candle sticks. How gorgeous. 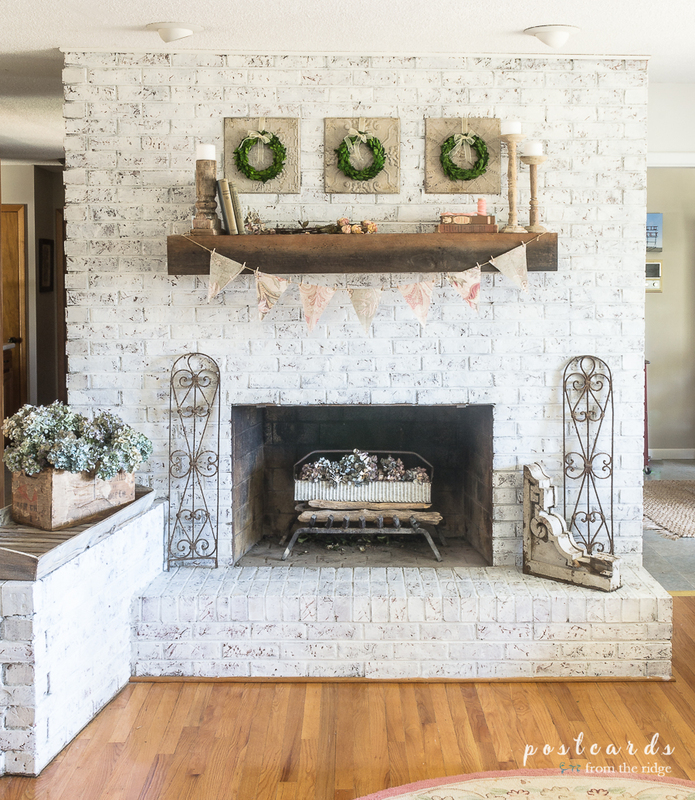 Nicely done, I love your fabulous spring decorative mantel. Thanks for sharing.